France is a country of passion. French is the language of love and Paris is one of the fashion capitals of the world. How does this all link? Creativity. Expression. Beauty. And, most importantly, art. France has been one of the most influential countries in the world when it comes to exploring art and creativity. There is a stereotype of a French man wearing a beret and holding a paintbrush and an artist's palette for a reason! Since the dawn of time France has churned out artist after talented artist. Let's take a look at ten of the most famous and talented painters and sculptors ever to have called France home. Allons-y! Jean-Yves Lechevallier is the only French artist on this list who is still alive. In fact, he is probably one of the most famous French artists of our time, whose name will go down in the history books. Born in 1946 in Rouen, Normandy, Lechevallier is best known for his amazing sculptures - these are not small statues that stand discretely on a mantelpiece. Instead, his works are large installations that interact with their surroundings. 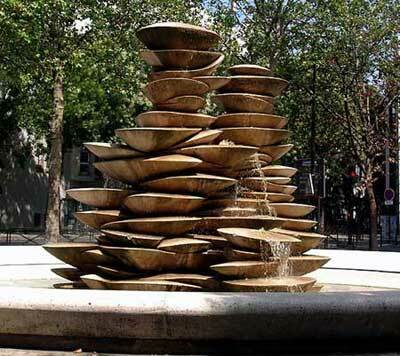 His most famous work is probably Fountain Polypores, which you may know by sight rather than by name! It's typical of his style, which usually includes natural materials such as wood, stone, marble and metal. This truly is art that you can interact with - not in the technological sense of the word, but by the very nature of its shape and texture. You may have learned about Matisse at school, long before you ever realized what you were learning. I know I certainly did! Matisse was a painter who is also known for his collage-style paper cut-outs, which are copied by kindergarten-age kids around the globe. With regards to his paintings, they often had unconventional, unnatural colors, in a style which was unusual at the time. As a result, he became known as one of the 'Fauves', or 'wild beasts', which does seem like a bit of an overreaction! His most famous works include Portrait of Madame Matisse and Le bonheur de vivre, both of which were created relatively recently. 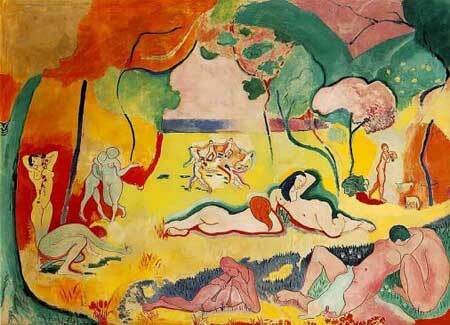 Matisse may have been born in the 19th Century but he only died in 1954.